Keyboard and Mouse are traditionally used when it comes to gaming. They are essential components to fully enjoy the gaming experience. Whether it is MMO, Adventure, RTS, Shooter, Combat games, the keyboard is used for character control plus features and mouse for directing the player, shooting and many other features varies with the games. Xbox is known for its high-quality games and players enjoy seamless performance of it. Many people have used to play with controllers but if interested and with some minimal work, keyboards and mouse can be used for playing games on Xbox One. 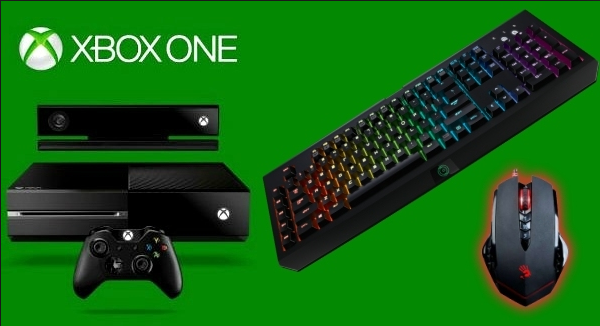 USB keyboards can be directly inserted in USB slots of Xbox One. Well, players can only send messages in-game or in stream chats. However, for 100% gaming experience with keyboard and mouse on Xbox One, adapters are available in the market to do the work for you. Basically keyboards, mouse and controllers have different signals to work with. Adapters will convert keyboard, mouse signals and manipulates them so that consoles will accept it as controller. Here is the info regarding various adapters available online. This adapter has two ports in which mouse and keyboard can be inserted. Inserting this adapter to Xbox One console will make sure players can use both mouse and keyboard for playing. It also comes with Android and IOS apps for free of charge. Only downside with this adapter is that its costlier compared to competitors in this platform but works perfect with no lag. This adapter is available at an affordable price. It comes with one port and that’s the only downside of Cronus Max. One more disadvantage is that this adapter should be connected to PC along with Console to start working. These adapters are useful however not all games are supported by adapters. Accessories like Adapters, keyboards and Mouse should be purchased based on the games played as the working varies with games.